A modern jeweler since 1936, the Maison FRED invites you to share its creative energy and happiness. FRED jewelry has always been inspired by the light and landscapes of the Rivieras. His iconic collections, Force 10, 8 ° 0 and Pain de Sucre, embody and perpetuate the FRED' style: audacious, generous and colorful. Teams of the Maison FRED are delighted to welcome you to their boutique in order to make you discover our jewelry collections. Since 1966, the Force 10 bracelet’s unexpected blend of a braided steel sailor’s cable and a gold buckle has epitomized the style of FRED: singular, precious, luminous, powerful and timeless. The Force 10 collection stands for creative freedom and energy; the bracelets can be personalized with interchangeable cables, rings enhance the buckle, while pendants hang upon the slenderest of chains to express their femininity. 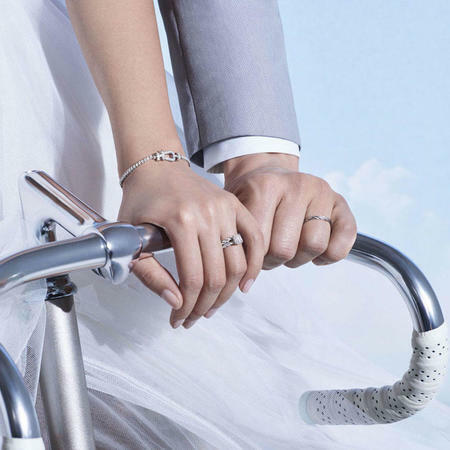 The solitaire, a promise of union and a vow of everlasting love, symbolizes the pureness of feelings. The light reveals the diamond’s transparency, underscores the delicateness of the most exquisite of all precious gems and enhances the elegant setting, bringing a unique glow to each individual story. The 8°0 collection carries a message as forceful as any mantra: “create and define your own view of luck”. 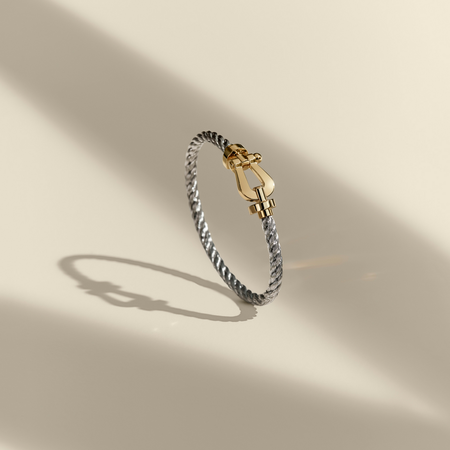 The 8°0 collection features a strikingly clean design with an interlocking buckle that resembles a lucky charm in yellow, grey or pink gold, either partly or fully paved with diamonds, available in the form of bracelets, necklaces, rings, earrings and jewellery sets. How these endless vaulted arches are seen depends on each individual’s imagination. 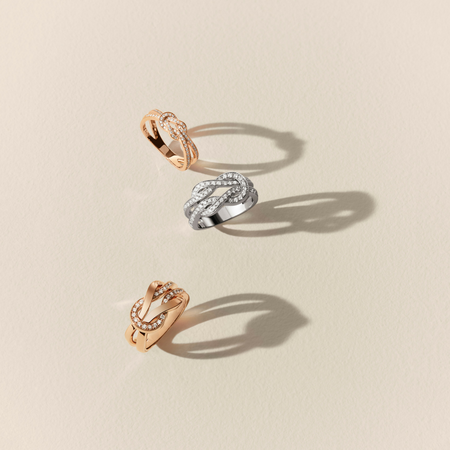 They can be as sinuous as the symbol for infinity, or perhaps a sign of eternal love. A sideways figure of 8 is synonymous with good fortune in certain cultures.